As all PUBG mobile Player came to know about the upcoming mode in last few updates as tencent is continuously adding hints like black blood dead zombies near Military Base in Erangel Map, so now the update is confirmed as the zombie mode is currently in BETA and expected to be released in few days lets now move on to the main point that whats there in this ZOMBIE MODE. 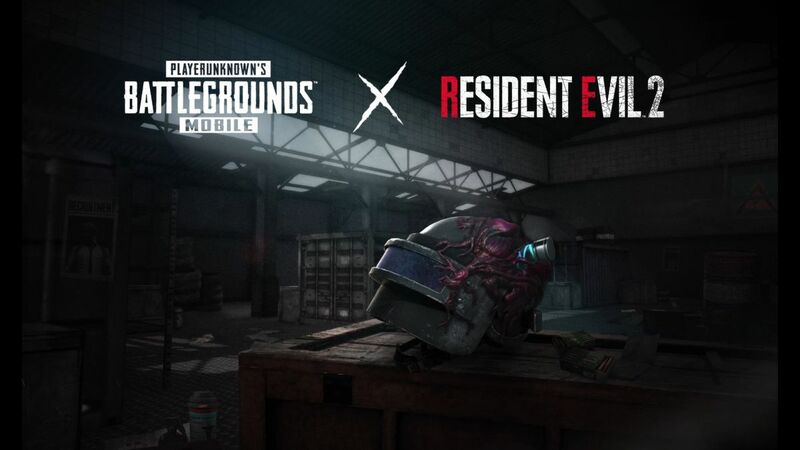 Zombie Mode is sort of Collaboration with all new released game Resident Evil 2 so developers from Tencent and Resident evil 2 added a mode in PUBG MOBILE Zombie Mode in which around 40 players will enter a Battleground in Erangle Map and in a specific area as we have earlier seen in Mini zone there are some of the specific type of zombies added which spawn at specific time and players will have to kill both zombies as well as other opponents to get a chicken dinner in this event which you can see in the video below. We see some of the zombies from Resident Evil 2 game such as zombie, zombie dog, Licker, Tyrant. Zombie: A Zombie refers to most humans that have succumbed to t-Virus the attack with their claw. Zombie Dog: Zombie dog is referred to domesticated canines infected with t-Virus bites non-infected players. Licker: The Licker is a result of a further mutation in zombies, Licks enemy from distance more powerful then other normal zombies. Tyrant: Tyrant the ruler zombie also Known as Boss in PUBG Mobile throws rocks and hits the player faster then other zombies most superior. Please do tell us about your views on this update in the comment section below.